The reality about innovation uncovered by [recent Noble Prize winner] William Nordhaus alone is sufficient proof that capitalism works magnificently. Of course, to say that capitalism works magnificently isn’t to say that it works without identifiable hitches, hiccups, and costs. But it is to say that those who today call for socialism to replace capitalism are ignorant not only of socialism’s well-documented history of failure and tyranny, but also of the enormous benefits that capitalism inspires in creative entrepreneurs to deliver. …producers, on average, capture a mere 2.2 percent of the total benefits of their successful introduction into markets of technological advances. A whopping 97.8 percent of those benefits are enjoyed by people each of whom as a consumer did nothing other than exercise his right to spend his money on those options that he judges best for himself. If the social benefits of the typical successful innovation were a pie divided into 45 equally sized slices, those who creatively figure out how to innovate, and who bear the risks of doing so in competitive markets, are content to allow those who play no role in the entrepreneurial-innovative process to grab 44 of the 45 slices. The persons responsible for making the pie in the first place ultimately receive as payment for their efforts only one slice. Christians and others of good will concerned with caring for the poor would do well to take a more serious–and sympathetic–look at the wealth-producing potential of the free market. But this doesn’t mean, as Boudreaux observes, ignoring the practical and moral failures of the market. However, we need to see these failures against the twin horizons of the market’s ability to create wealth AND the universal human tendency to misuse use (intentionally or not) our freedom. The failures of the free market, or if you prefer, capitalism, are not unique to the market. They reflect rather our situation as fallen creatures living in a world marred by sin. The Church’s role here is not to condemn wealth creation as if creating wealth is in and of itself is sinful. 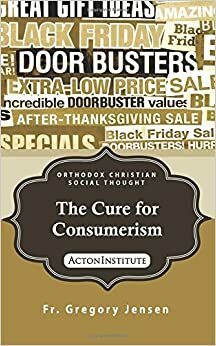 Instead, I think the Church must continually call market actors (but especially innovators and entrepreneurs) to faithful uphold in all their economic activities the real moral goodness of their efforts as not only stewards of human wealth but icons of human creativity. Because we are social creatures, much of what we do, we do in imitation of others. Through their creativity actions in the market, innovators and entrepreneurs demonstrate concretely the human potential not simply to create wealth for themselves but for others. And this wealth is not simply material. It is also culture and even spiritual. While wealth can be used selfishly, it can just as easily be used to build schools, hospitals, churches and any number of social institutions that lift the human spirit and reveal our dignity as creatures created in the image of God.